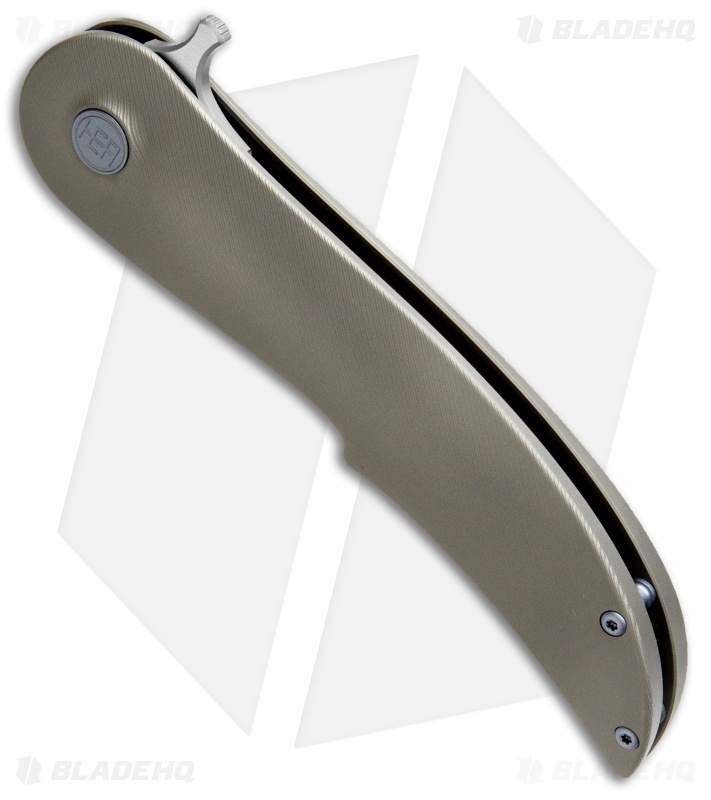 Organic lines and natural flow are at the heart of the Equilibrium folding knife from HEAdesigns. Considered the first modern scimitar folder, the Equilibrium takes the most popular blade style of the 9th century and gives it a 21st century update. This Equilibrium flipper has a gray titanium handle with blue anodized Ti hardware and a stylish milled pocket clip. 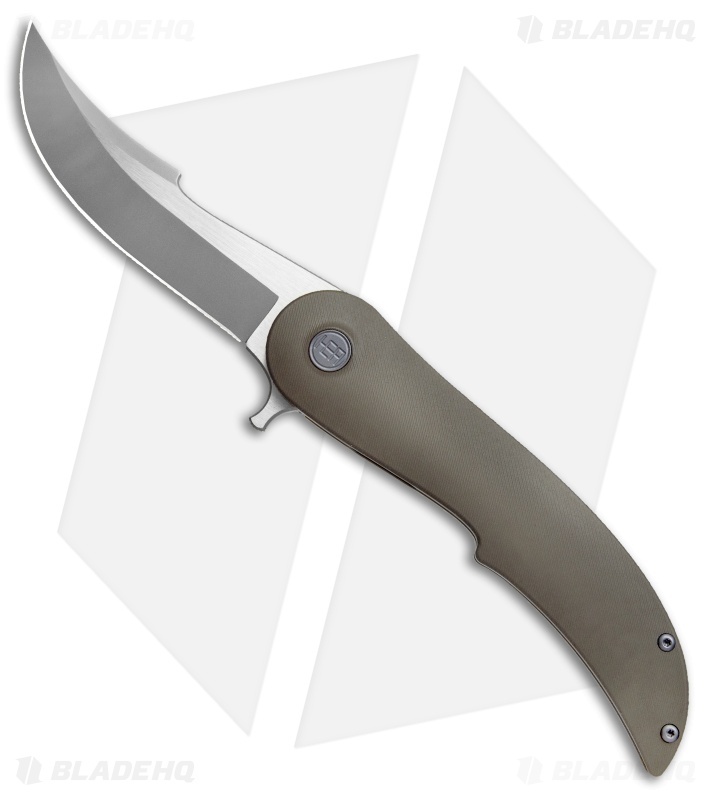 The two-tone S35VN steel blade boasts hand satin finished flats and sandblasted grinds. Precision milled 6Al4V titanium handle with nested steel lock insert and over travel stop provide durable long-term performance. Multi-row ceramic bearings and detent offer silky smooth deployment with an integral blade flipper. 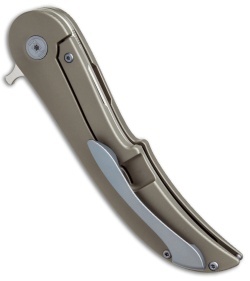 Stepped interior scalloping in the handle offers an ultra-lightweight feel without affecting handle integrity. Blind lanyard pin contributes to the clean aesthetic. The EQ is a really cool, unique blade... like the first review says, something to get excited about. The Equilibrium, or EQ for short, is a modern blade for a modern world, as it is strong and powerful, yet sleek and unique in its design. The EQ is essentially a folding knife, but it is so much more than that. It is larger than most folding knives at 5.5” when closed, and at 9.25” when open. 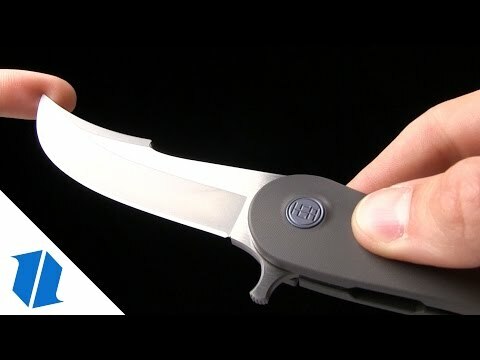 The EQ melds the convenience and size of a folding pocket knife with the strength and blade of a survivalist fixed blade like no other knife I’ve seen. I found the Equilibrium to be a very fine blade with hybrid abilities. The EQ is now my go everywhere knife, because not only is it built for my ranging and wild lifestyle, it is also a dynamic looking blade. It’s the coolest knife I’ve ever used, and it will come with me everywhere, even into the deepest of wildernesses. Dont get excited about much when it comes to folders anymore, a LOT of the same over and over... However this shape and grind, the quality and feel of the Equilibrium put a smile on my face. Worth it, and hope to see more interesting designs from this maker. Price is just right, quality was on point, and the look and feel in hand are excellent.